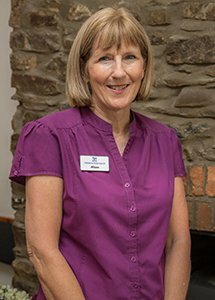 Alison joined Torrington Dental Practice in December 2015, as part of the reception team. Her varied career started as a cook manager in Wrafton until her desire to travel realised when she joined Gulf Air as an air stewardess based in Bahrain, followed by many years with British Airways. She then took a career break to bring up her son and on returning to work joined a busy doctor’s practice in Barnstaple.